Description: ell Baked Pizza with Fragrant Herbs, White Sauce, Melted Cheese. Italian Food in the Foreground. Slow Motion. 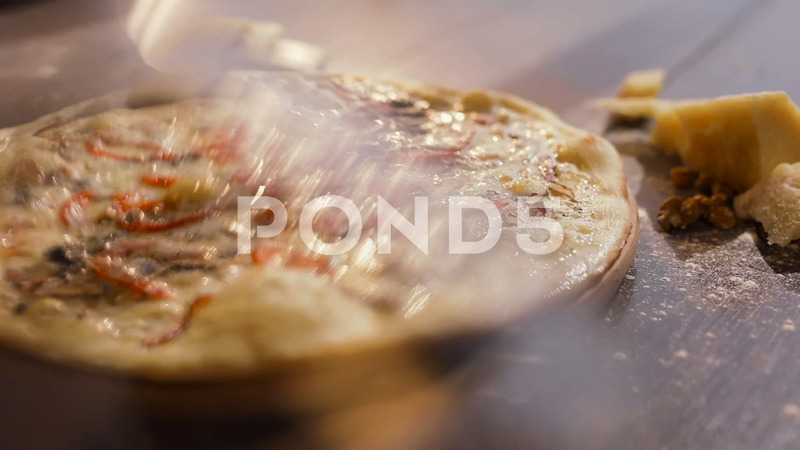 Series of Shots about Hot Pizza. Tasty Pepper, Egg Yolk, Bacon.